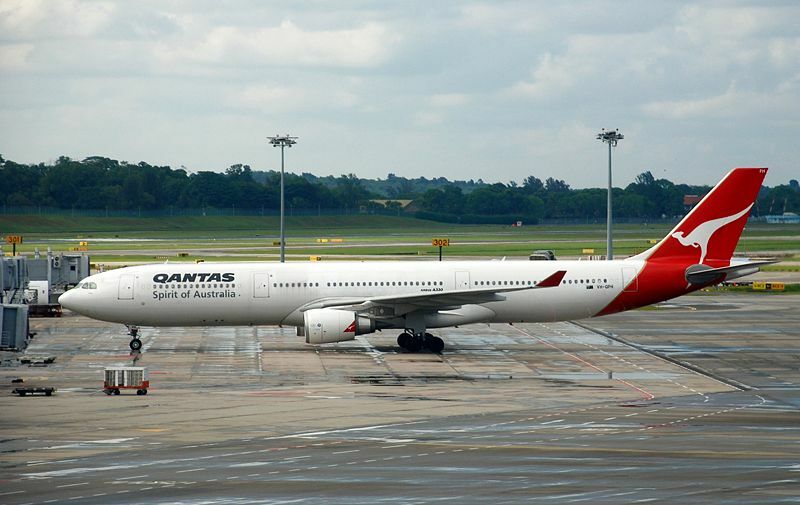 The Australian Transport Safety Bureau (ATSB) released its second interim report about a 7 October 2008 event when a Qantas A330-300 (VH-QPA, Flight 72) experienced an unexpected and rapid change in altitude while the aircraft was in cruise at 37,000 feet. The accident resulted in injuries to 110 passengers and nine crew members. The first interim report identified two significant safety factors. First, one of the air data computers provided incorrect data that was not detected by the aircraft systems. Second, the aircraft's flight control computers did not process some of the aircraft's attitude data in a specific situation. The second interim report did not identify the cause of the October 2008 event, but detailed the safety actions that have been taken that would prevent a recurrence of the event, including modifications to the A330's primary flight control computer and changes in flight crew operational procedures. • The air data computers on the two aircraft were different models, and constructed by different manufacturers. 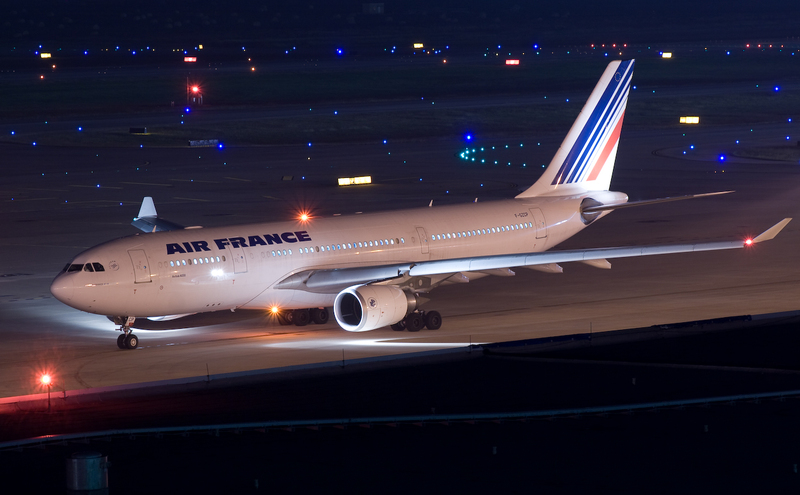 • The cockpit messages and maintenance fault messages from both flights showed a significantly different sequence and pattern of events, with the maintenance messages that were transmitted by the Air France aircraft prior to the accident showing inconsistencies between the measured airspeeds and the associated consequences on other aircraft systems. No such messages were recorded by by the Qantas aircraft. • The airspeed sensors (pitot probes), which were a issue of great concern in the Air France Accident, were not an issue in the Qantas accident because they were different airspeed sensor models made by different manufacturers. 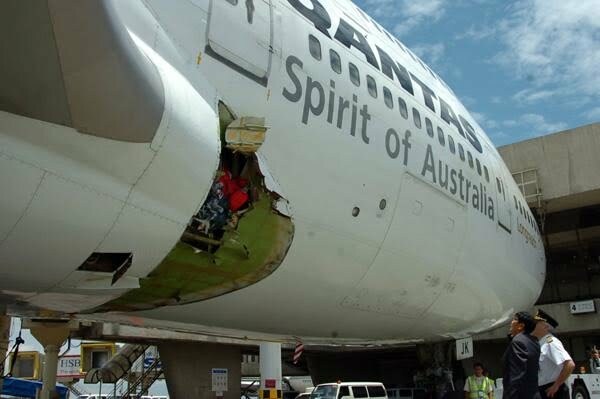 On 25 July 2008, a Qantas 747-400 (VH-OJK, Flight 30) experienced a rapid decompression while cruising at 29,000 feet after an oxygen cylinder that was part of the emergency oxygen system exploded and blew a hole in the fuselage. In their second interim report on the decompression event, the ATSB reported that there is no evidence of a safety problem with the oxygen bottles of the type involved in the accident. ATSB reported that among the actions taken by Qantas were a fleet-wide safety inspections of oxygen system installations and a revision of flight crew emergency procedures, including the introduction of a new depressurisation checklist. Also, various tests have not been able to replicate the cylinder failure that initiated the accident.